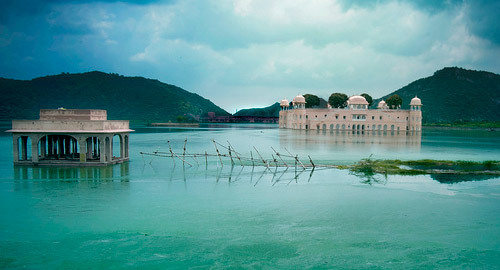 Jaipur is famous Honeymoon place in India. It is a real joy to go on Honeymoon in Jaipur because of its easy connectivity with some of the major cities of North India and really attractive monuments. The capital city of Rajasthan, famous worldwide as the 'Pink City', is one of the foremost planned cities of India. The broad roads intersecting at right angles add to the joy of traveling in Jaipur because of convenient flow of traffic in spite of heavy traffic during the tourist season. Look around at the nook and corner of the city on Honeymoon in Jaipur, as each brick has its own version of history to tell. Honeymoon in JaipurBegin your Honeymoon in Jaipur by visiting the forts and palaces including Amber Fort and Palace, Jaigarh Fort, Nahargarh Fort, City Palace and Museum, Jal Mahal and Rambagh Palace. Let your excitement of Honeymoon in Jaipur linger on with the visit to the Jantar Mantar, Hawa Mahal or Palace of Winds, Galtaji, Laxmi-Narayan or Birla Temple, Govind Devji Temple, Kanak Valley and Sisodia Rani Garden. Shopping will heighten your experience of Honeymoon in Jaipur. In Jaipur, you will come across a wide variety of products both ethnic and modern, handicraft and machine made, decorative and utility and fabrics and jewelry. You would love to look around for ethnic jewelry in minakrari and kundan work, brassware, fabrics, footwear and quilts on Honeymoon in Jaipur. For all these items, you have to wander through the Jauhari Bazaar, Tripolia Bazaar, Bapu Bazaar, Nehru Bazaar, Chaura Bazaar, Ramganj Bazaar, Kishanpol Bazaar, Mirza Ismail Road, Gopalji-Ka-Rasta, Haldion-Ka-Rasta, Maniharon-Ka-Rasta, Khajanewalon-Ka-Rasta and Sanganer Village on Honeymoon in Jaipur.